Hot, Warm And Cold Blooded Horses: What's The Difference? Have you ever heard someone refer to a horse as cold, hot or warm-blooded? I bet you have. And you may be wondering why a horse is referred to as cold-blooded yet it’s a mammal and we all know mammals have warm blood? Well, it is not about their body temperature. Horses have the same body temperature of around 30 degrees centigrade or 100 degrees Fahrenheit. So what does it mean when someone refers a horse as warm, hot or cold blooded? It’s not about the blood that runs in the horse’s veins. The classification is based on the horse’s temperament and the tasks they perform. 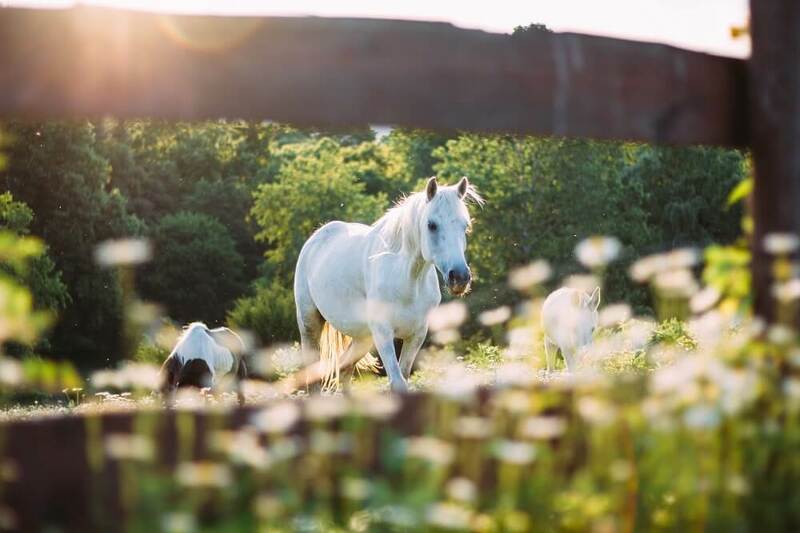 Every horse breed belongs to one of these three types. But to clarify more, we break each of these terms for you. What Are Hot Blood Horses? Hot bloods comprise of ancient horse breeds originating from the Middle East. They were mainly bred for speed and agility. But the breeders also focused on the horses’ elegance, frame and pattern maintenance. This resulted in light, refined, thin-skinned, and long-legged horses. Today hot blooded horses are mostly used in racing. But you will find them in the show ring and trails as well. Their close interaction with people has made the hot blood breeds quite intelligent. They are high-spirited, hot-tempered, bold, and quick learners. They also tend to be nervous and energetic. Ever vigilant, the hot-blooded horses react quickly to unfamiliar circumstances. That’s why they require an experienced person to handle and work on their excitable and fired-up temperament. Additionally, hot blood horses are vulnerable to stormy weather. This is due to their Middle East origin where they are more at home in desert conditions. For many years they were used as a symbol of power and wealth by the North African tribes. Hot bloods are among the most expensive horses. Examples of hot breeds are the Akhal-Teke, Barb, the Thoroughbred, and the Arabians. The latter two are the best-known breeds. When talking of hot blood horses many people just refer to the Thoroughbreds and Arabians. 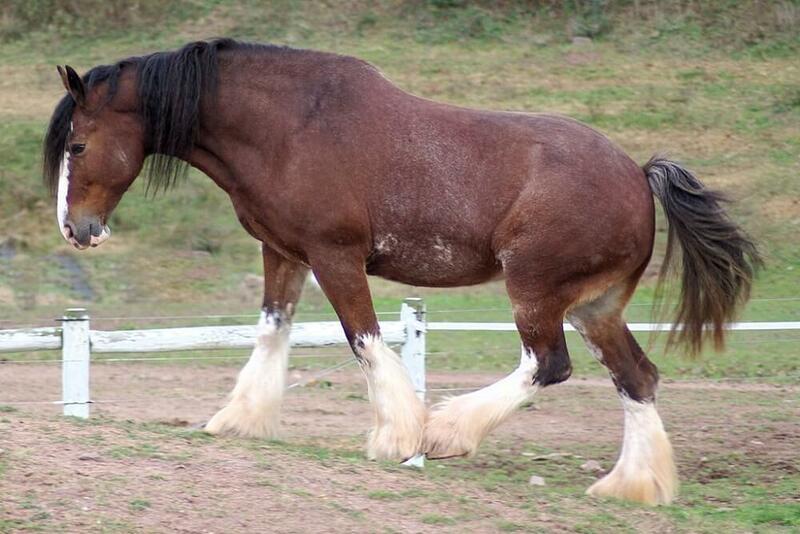 Cold bloods comprise of the tall, heavy horse breeds used in draft. Breeders selected for a breed that would be suitable for pulling wagons, carriages, and plows. The breeding effort over a long time resulted in an animal that is large, strong, muscular, and resistant. So what kind of temperament does a cold blooded horse have? Given the nature of work they were intended to do, cold bloods had to be calm, gentle, and patient. That is why cold bloods are also called the “gentle giants”. Cold bloods have a characteristic walk. They move slowly in longer and ‘flatter’ strides. Medieval soldiers preferred the cold bloods because they were strong. They would carry heavy armor as well as the soldier and travel long distances. 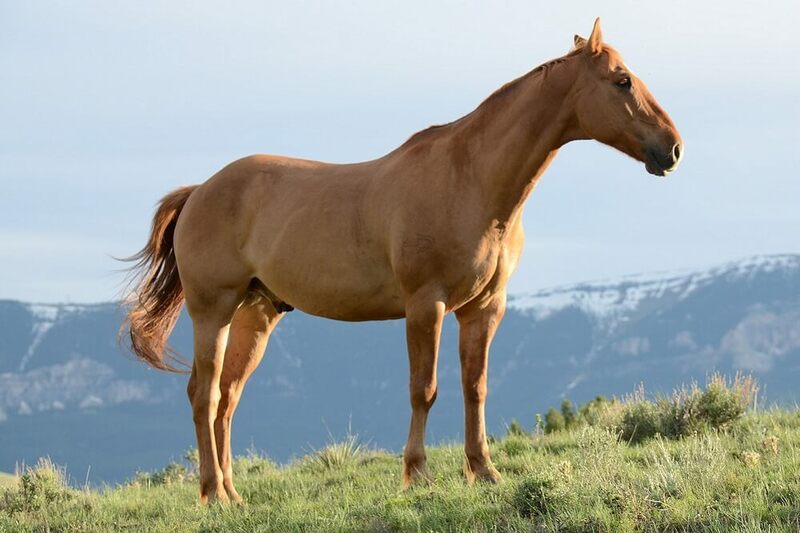 Today, cold bloods are the most popular breeds for riding. But they are also gaining prominence competing in the show rings. They are becoming popular with pleasure and trail riders. And because of their friendly nature, cold blooded horses are easy to handle. Even children can work with them. Typical examples of cold blood breeds are the Percheron, Ardennes, Frisian, Icelandic, Shires, Budweiser Clydesdale, or Belgian. They were bred in harsh climates and are hardy with very heavy bone and feathering. They can handle the turbulent weather very well. Warmbloods are a group of middle-weight horse breeds that originate in Europe. They were bred by crossing the Arabians and Thoroughbreds with carriage or war horses. The result was a breed larger than the hot-blooded but more refined than the cold bloods. Their temperament of warm blood horses is in-between the cold and hot bloods. Warmbloods are popular dressage horses because of their athletic ability from the “hot” blood and the temperament of the “cold” blood. 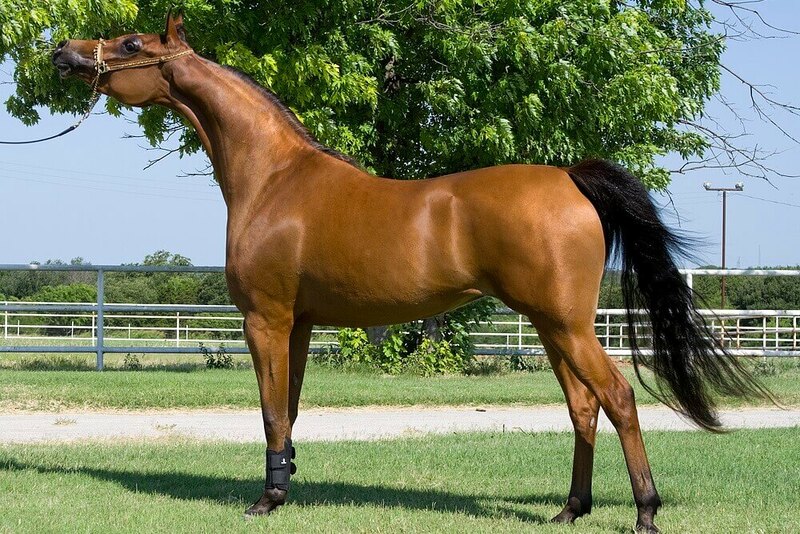 Today, warmbloods are high-quality sports horses. You will see them in many show arenas all over the world. 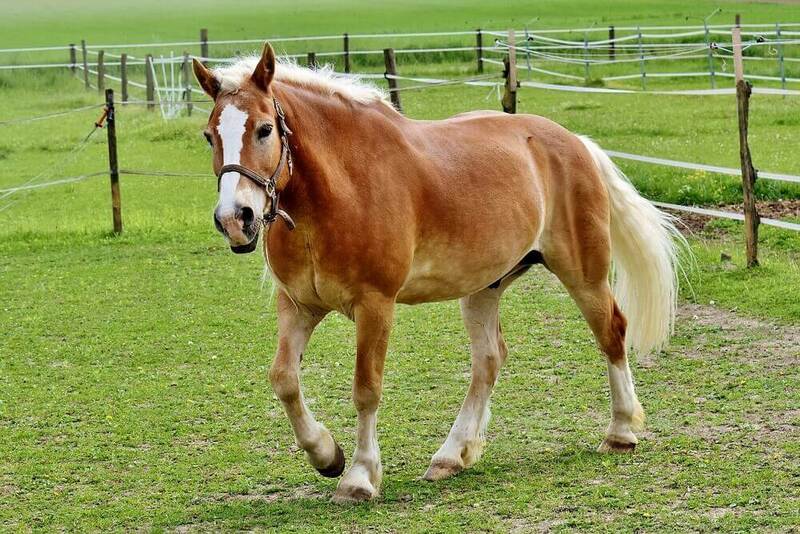 Typical warmblood breeds are the Irish Draught, Haflinger, Holsteiner, Hanoverian, American Warmblood, Dutch Warmblood, the Trakehner. Hot bloods are spirited horses with high speed and endurance. Cold bloods are heavy horses that are great for slow and heavy work. They are used for draft and agricultural work. Warmbloods are a mixed breed of the cold and hot blooded horses. If you are interested in this topic, have a look at one of these horse books. I never knew this about horses. I really like to learn more about them and your website seems to be a great resource! Thank you! hello i have a hybrid Arabian which is half Arabian and we dont know the other half he is very small and light but seems to be a bit lazy and not hot so i am not sure if he is hot blooded or warm? i am sure he is not cold since his characteristics are nothing like a cold blooded horse? I have a 6 month old quarter colt mixed with some thoroughbred. My assumption is that he is hot blooded and there for likes warmer climate versus colder climate is this true. I LOVE THIS AND HORSES!!! But I also don’t really love horses. I learned in a book that horses could also bite your finger off… |(‘_’)| (-_-)So sad… IT MESSED UP MY CHILDHOOD!!!! So sorry hearing that horses sometimes bite messed up your childhood. I don’t want to mess up the rest of your life, but dogs can bite and chickens can peck you.